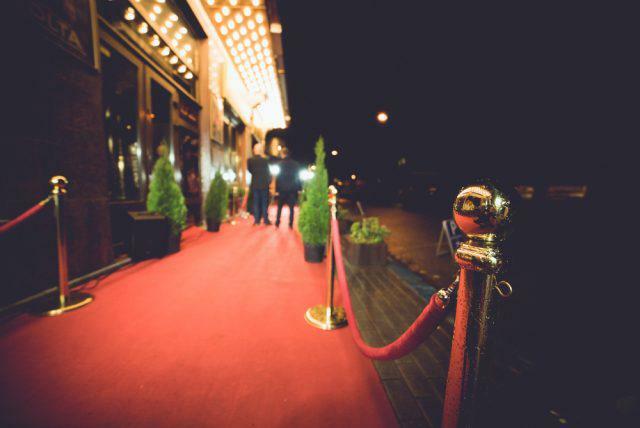 Oilfield Service Valuations: Missing The Party Or Just Fashionably Late? Latecomers are inevitable at parties. They skulk in at the end, missing out on most of the fun, food and games that everyone else has been enjoying. Yet, savvy socialites aim to arrive fashionably late, after the labor of getting the party going but still in time to enjoy the night. When it comes to valuations, are oilfield servicers late to the proverbial oil patch valuation gala or just in time to enjoy the recovery? E&P company valuations are recovering as companies have benefited from increases in production, escalating acreage values, lower breakeven prices and a recuperating oil price. This is especially true in the Permian Basin. In fact, activity and production in West Texas are growing so fast that existing pipelines and infrastructure struggle to keep up. Meanwhile, US refiners, feasting on the spread between Brent and WTI, continue to see valuation gains as well. Refineries are busting at the seams, with current utilizations over 98%, and acquisitions abound. Refinery performance appears sustainable for the short to intermediate term, but in the long run, capacity may be a limiting factor. Even midstream and pipeline valuations, after taking a beating through the end of 2015, are recovering nicely. The current West Texas hydrocarbon traffic jam presents a growth opportunity for this sector. Oilfield service providers, drillers, pumpers and equipment providers enabled E&P companies to make impressive efficiency leaps. So, where do they stand today? One lens through which to view things is the OSX index–a popular metric to track sector performance. Since mid-2014, the OSX index does not exactly portray an inspiring comeback by oilfield service companies. In fact, looking at the index alone might lead one to think oilfield servicers have not even received an invitation to this reputed party, much less arrived. Earnings sunk in 2015 and bottomed out in 2016 as a result of producers cutting drilling and completion costs. Balance sheets went through significant write downs, impairments and asset sales. 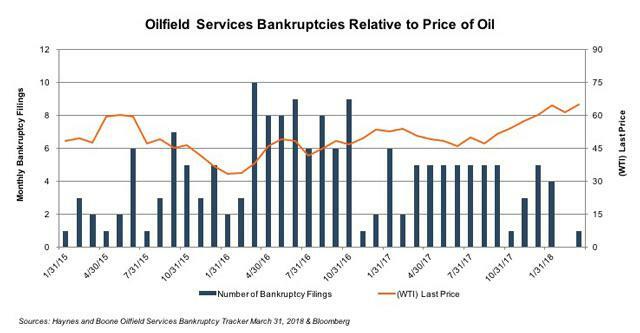 Not surprisingly, bankruptcies for the sector peaked in 2016 with 72 oilfield service companies filing for bankruptcy, up from 39 the year prior.